The Albanians annually celebrate Independence Day on November 28. This holiday is also very often called Flag Day, because two important events took place on the same day in the same year, on November 28, 1912. 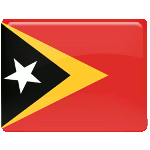 November 28 is Proclamation of Independence Day in East Timor. This public holiday celebrates the anniversary of declaration of independence of East Timor from Portugal in 1975. Independence Day is one of the major public holidays in Mauritania. 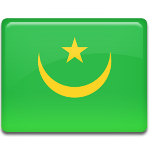 It annually falls on November 28, the day when Mauritania declared independence from France. 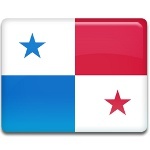 There are two Independence Days in Panama. The first celebration marks the declaration of independence from Colombia, and it's annually takes place on November 3. The second Independence Day is celebrated on November 28, marking the anniversary of declaration of independence from Spain in 1821. 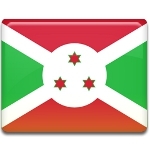 People of Burundi annually celebrate Republic Day on November 28. This holiday commemorates the anniversary of the 1966 coup, overthrowing Prince Ntare V.
Republic Day is annually celebrated in Chad on November 28. 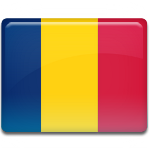 This holiday celebrates the day, when Chad became an autonomous state withing the French Community in 1958. 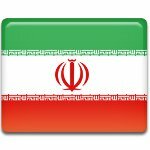 Navy Day is celebrated in Iran every year on November 28. This holiday commemorates the anniversary of the Operation Morvarid held by Iran on November 28-29, 1980 during Iran-Iraq War. 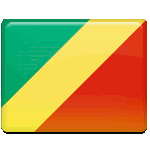 Republic Day is a public holiday in the Republic of the Congo. This holiday is celebrated by the Congolese people every year on November 28. 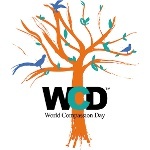 World Compassion Day is an annual observance held on November 28. It was founded in 2012 by Pritish Nandy, an Indian poet, journalist, film producer, media and television personality, politician, and activist. The event is organized by Pritish Nandy International. 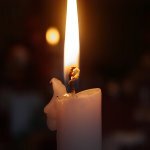 Remembrance Day for the Victims of Holodomors is annually observed in Ukraine on the fourth Saturday in November. This remembrance day is dedicated to the events of 1932-1933, that took millions of lives of the Ukrainians. November 28 is the perfect day to make some French toast for breakfast because the National French Toast Day is celebrated on this date. 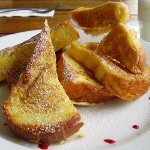 French toast is surely one of the most popular breakfast dishes in the United States. 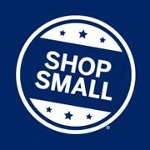 Small Business Saturday is an annual shopping holiday that takes place on the Saturday after Thanksgiving in the United States. It was created as a counterpart to Black Friday and Cyber Monday. 2014 Three bombs were set off at the central mosque in the city of Kano, Nigeria. At least 120 people were killed. 2010 Died: Leslie Nielsen, Canadian-American actor and comedian. He appeared in more than 100 films and 150 TV programs, portraying more than 220 characters. His most notable works include Forbidden Planet, The Poseidon Adventure, Airplane!, The Naked Gun. 1987 South African Airways Flight 295 crashed into the Indian Ocean east of Mauritius. All 159 people on board died. 1982 Died: Helen, Princess of Greece and Denmark, wife of King Carol II of Romania. She is well known for her numerous efforts to save the Romanian Jews during World War II, that led to her being awarded the honorary title of Righteous Among the Nations. 1979 A DC-10 sightseeing Air New Zealand Flight 901 over Antarctica crashed into Mount Erebus on Ross Island, Antarctica. All 237 passengers and 20 crew on board were killed. 1974 Born: Allan Pineda Lindo, better known by his stage name apl.de.ap, American rapper and record producer. He is best known as a member of the Grammy Award-winning group The Black Eyed Peas. 1968 Died: Enid Blyton, English writer, best known for her children's books, that were world's bestsellers since the 1930s. Her most notable works include The Famous Five, Noddy, Secret Seven. 1960 Died: Richard Wright, American author. Much of his literature concerns racial themes. It's believed, that his works helped change race relations in the United States in the middle of the 20th century. 1954 Died: Enrico Fermi, Italian physicist, best remembered for his work on Chicago Pile-1, the world's first nuclear reactor. In 1938 he was awarded the Nobel Prize in Physics for his work on induced radioactivity by neutron bombardment and the discovery of transuranic elements. 1950 Born: Russell Alan Hulse, American physicist, known for his discovery of a new type of pulsar. This work brought him the Nobel Prize in Physics in 1993. 1942 492 people were burned alive and hundreds more injured in the Cocoanut Grove nightclub, Boston, Massachusetts. 1939 Died: James Naismith, Canadian-American sports coach and innovator. He is best known for creating a new sports game, basketball, in 1891. 1932 Born: Terence Frisby, British author. His best known work is the play There's a Girl in My Soup. 1921 Died: `Abdu'l-Bahá, Persian leader of the Bahá'í Faith. He followed his father's steps, Bahá'u'lláh, thus becoming one of the founders of the Bahá'í Faith. 1916 Born: Ramón José Velásquez, Venezuelan politician, a prominent historian, journalist and lawyer. He acted as President of Venezuela from June 5, 1993 to February 2, 1994. 1914 The New York Stock Exchange reopened for bond trading following a war-induced closure in July. 1907 Louis B. Mayer, co-founder of Metro-Goldwyn-Mayer studios, opened his first movie theater Orpheum in Haverhill, Massachusetts. 1895 The first American automobile race took place from Chicago's Jackson Park to Evanston, Illinois. Frank Dureya won the race, driving approximately for 10 hours. 1881 Born: Stefan Zweig, Austrian author and journalist, one of the most popular writers in the world during the 1920s-1930s. His most notable works include Amok, Letter from an Unknown Woman, The Royal Game, Confusion. 1870 Died: Frédéric Bazille, French painter, one of the most outstanding French Impressionists. Many of his major works are examples of figure painting in which he placed the subject figure within a landscape painted in the open air. 1866 Born: Henry Bacon, American architect, best remembered as the designer of the Lincoln Memorial in Washington, D. C., which was his final project. 1859 Died: Washington Irving, American author, historian and diplomat. He is known for his short stories Rip Van Winkle and The Legend of Sleepy Hollow. 1857 Born: Alfonso XII, King of Spain, reigning from December 29, 1874 to November 25, 1885. The beginning of his monarchy marked the end of the First Spanish Republic. 1820 Born: Friedrich Engels, German author, sociologist, philosopher. Engels is best remembered as the father of Marxist theory, that he coined together with Karl Marx. As a philosopher, he published a number of important and influential works, including Manifesto of the Communist Party, Utopian and Scientific, The German Ideology etc. 1814 The London newspaper The Times was printed by automatic steam-powered press for the first time. This signaled the beginning of the availability of newspapers to a mass audience. 1811 Beethoven's Piano Concerto No. 5 in E-flat major, Op. 73, premiered at the Gewandhaus in Leipzig. 1757 Born: William Blake, English poet, painter and printmaker. Although Blake wasn't recognized during his lifetime, he is now considered to be a prolific artist and author in the history of the poetry and visual arts of the Romantic Age. His most notable works include The Marriage of Heaven and Hell, Jerusalem etc. 1680 Died: Gian Lorenzo Bernini, Italian artist and architect, a leading sculptor of his age. He is credited with creating the Baroque style of sculpture. His most notable work is the piazza leading to St. Peter's Basilica in Rome. 1632 Born: Jean-Baptiste Lully, Italian-born French composer. Lully spent most of his life in the courts of Louis XIV of France, he is considered to be the chief master of the French baroque style. 1520 Three ships under the command of Portuguese explorer Ferdinand Magellan reached the Pacific Ocean. They became the first European ships to sail from the Atlantic Ocean to the Pacific Ocean.